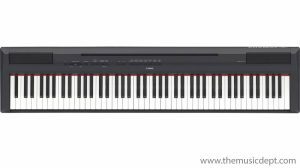 The Yamaha P125 is a compact, portable yamaha digital piano that combines incredible piano performance with a user-friendly, minimalistic design. Easily portable and extremely easy to use, the Yamaha P125 lets you experience the joy of playing the piano on your terms. 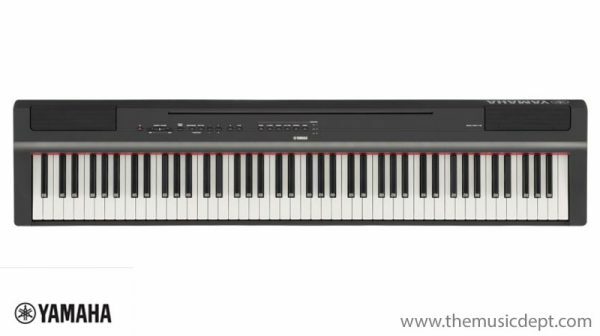 It produces a dynamic, high-quality sound with the natural piano touch response you expect from a Yamaha digital piano, whilst keeping a sleek and slim footprint. Every element of the Yamaha P125 is designed to help you focus on playing. The minimal light reflection of its continuous surface and the understated speaker design all work to collectively achieve a beautiful and elegant finish. The Pure CF Sound Engine is the result of over a century of acoustic piano craftsmanship combined with state-of-the-art technology and expertise. The P-125 faithfully reproduces the tone of the renowned Yamaha CFIIIS 9′ concert grand piano, offering incredible dynamics and expressiveness. The 2-way speaker system produces an expansive piano sound in both upward and downward directions. 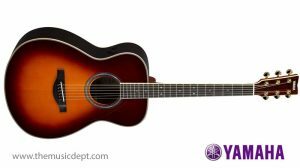 This creates a rich sound field – making it feel as though you’re sitting in front of an acoustic piano. The new Table EQ feature maintains optimal acoustics; even if you play on a hard, flat surface, you’ll get the best possible sound. The P-125 includes a selection of bass and drum tracks to play along to. 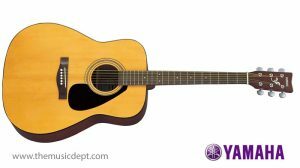 There are a variety of rhythm patterns to choose from, from rock to ballads. The Yamaha Smart Pianist app allows you to control the many functions included in the P-125 using your smartphone or tablet. Voices, rhythms and other settings can be selected while looking at the screen, making it easy to enjoy new functions with ease. Visit our Yamaha Piano Showroom at our Music Store St Albans. 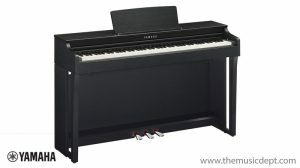 Be the first to review “Yamaha P-125 Digital Piano” Click here to cancel reply.